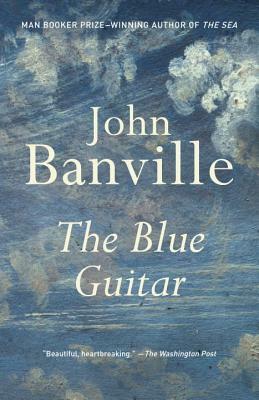 A new novel -- at once trenchant, witty, and shattering -- about the intricacies of artistic creation, about theft, and about the ways in which we learn to possess one another, and to hold on to ourselves. Equally self-aggrandizing and self-deprecating, our narrator, Oliver Otway Orme (“O O O. An absurdity. You could hang me over the door of a pawnshop”), is a painter of some renown and a petty thief who has never before been caught and steals only for pleasure. Both art and the art of thievery have been part of his “endless effort at possession,” but now he's pushing fifty, feels like a hundred, and things have not been going so well. Having recognized the “man-killing crevasse” that exists between what he sees and any representation he might make of it, he has stopped painting. And his last act of thievery -- the last time he felt its “secret shiver of bliss” -- has been discovered. The fact that the purloined possession was the wife of the man who was, perhaps, his best friend has compelled him to run away -- from his mistress, his home, his wife; from whatever remains of his impulse to paint; and from a tragedy that has long haunted him -- and to sequester himself in the house where he was born. Trying to uncover in himself the answer to how and why things have turned out as they have, excavating memories of family, of places he has called home, and of the way he has apprehended the world around him (“one of my eyes is forever turning towards the world beyond”), Olly reveals the very essence of a man who, in some way, has always been waiting to be rescued from himself.